West Africa 2011 Precon has Begun! 03 May West Africa 2011 Precon has Begun! Hello friends and family! Kelly and I arrived in Accra yesterday, and we’re currently staying with our amazing friends at the Korle Bu Teaching Hospital. We’re both super stoked to be back, and have been welcomed with open arms and open hearts by the amazing students at the University. We also reconnected with the wonderful Akua Ananeh-Frempong of McBryce Consultancy and got carried away in conversation for five hours. We’re super excited to have her on board with us again this year to help kick off our dialogue on ethical travel and development during the orientation! Over the next week, we’ll be finalizing arrangements throughout the country, and be back in Accra in time to pick up all of the participants we’re so excited to finally meet face-to-face. We’re really looking forward to getting the program started, and begin our awesome 7-week adventure. 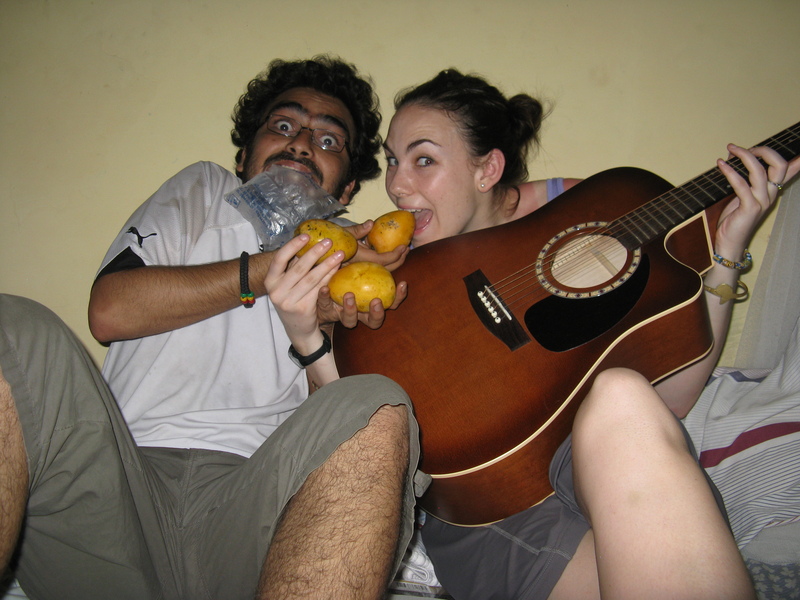 We’re keeping this entry short because we’re pretty stoked about finishing off our bunch of super tasty fresh mangoes. But we’ll talk soon. See you all in small time! Taha and Kelly P.S. It’s Kelly’s birthday tomorrow (it’s past 12am here in Ghana, so today for us), so don’t forget to wish her!